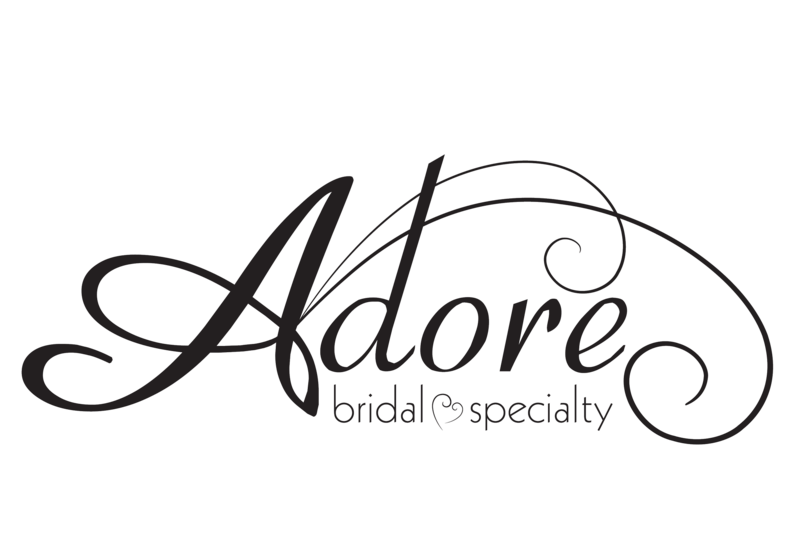 Whether you are looking for wedding gowns, bridesmaid dresses, mother-of-the-bride dresses or specialty occasion dresses, Adore Bridal & Specialty has the bridal dresses Springfield IL residents Adore. From traditional to fashion-forward styles, our stylists can dress the bride as well as the complete bridal party. The internet is a great resource for finding wedding gown ideas, and that is why we provide brides with a wedding gown page, extensive Pinterest boards of our available gowns and testimonials from past Adore brides. However, it is never a good idea to buy a wedding dress before trying it on. Dresses can sometimes look best on the hanger, and we don’t want you to miss out on your wedding gown shopping experience! Along with your personal Adore stylist making sure you look and feel beautiful in your dream wedding dress, your stylist can also help you dress the girls! Our bridesmaid dresses come in a wide variety of colors and styles, and our specialty occasion dresses are perfect for other members of your party, including the mother-of-the-bride. Contact us online or call 309-291-0838 to schedule your appointment today, and you won’t regret it! Your personal Adore stylist will connect with you before your appointment and start pulling styles and ideas that they believe are perfect for you, so that you can get the most out of your bridal shopping experience! Def: (a-dor) to fall madly in love. We are in the business of helping brides say “I Do” and feeling gorgeous while saying it too. Let us show you that we have the bridal dresses Springfield IL brides and bridesmaids fall madly in love with.